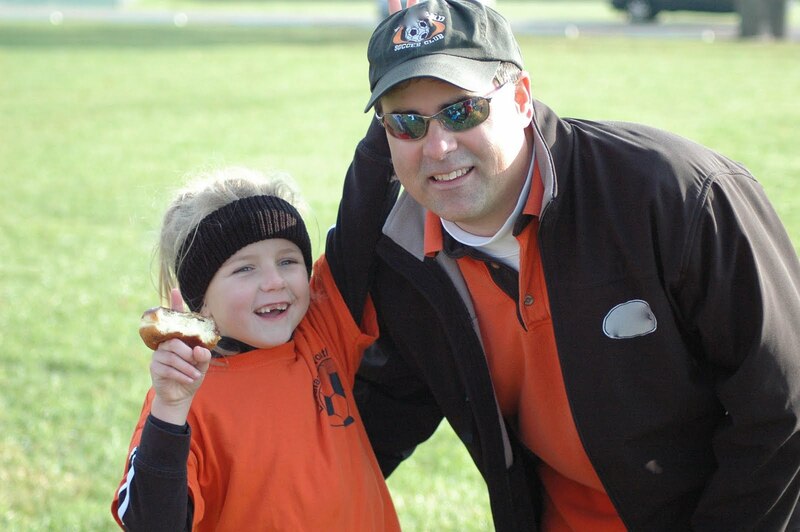 Some select youth sport clubs have rules that prohibit parents from being the coach of their kid's team. I guess they have this rule in place because the parent / coach dynamic is very tricky. I have seen some coaches who are great at the balancing act and others who were epic failures. I have played a starring role on both sides. I have three kids who have played on countless teams for countless coaches so I have seen it all. Currently, my daughter's elite soccer team and AAU basketball team have paid non-parent coaches. My son's select baseball team has a paid trainer, but the head coach and all the assistant coaches are parents of players on the team. Here are the most common coach / parent scenarios. The parent / coach thinks his son or daughter is better than he or she really is and favors them. They play their kid at all the choice positions and give them lots of playing time while the rest of the players and their parents boil with resentment. The parent / coach has unrealistic expectations of his own son or daughter and treats them poorly. I couldn't wait for my older son to play baseball, the game I loved. My oldest was a good athlete and had a great arm. He, however, was not good at baseball. It turned out that he had / has ADHD and the slow game of baseball just couldn't capture his attention. Not knowing anything about ADHD or that he even had it at the time, I was infuriated by his lack of focus, hustle and ability to learn the fundamentals of the game. I was overly harsh toward him. The other kids and parents loved me as a coach, but I was a terrible coach for my son. I was young, stupid and overly concerned about winning and stats. Luckily, I have matured as a coach. Since this low point in my coaching career, I have seen many coaches treat their own kids poorly and it makes me cringe because it reminds me about my own stupidity as a young coach. 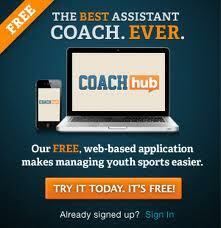 It is much tougher to coach a team when one of the players is your own kid. It can be a no-win situation. As I mentioned above, I wasn't a very good parent / coach with my first child, but I learned from the experience. By the time I was coaching my third child I had figured out most of the tips outlined by Coach Lokar. I highly recommend that you read the 25 tips and take them to heart if you are going to be the coach your kid's team. My experience applies to Rec sports to this point, and now includes 2 sports, and 3 different age groups and teams. The biggest advice I can give to anyone wanting to coach their kids is to start young - like the first season your kid is in a sport or playing any sport. Personally, I initially said, "I'll coach when he gets to age __" until the call came out for volunteer coaches because no one was stepping up. When the opportunity to coach my 4 year old son's soccer team (6 players) came out - I leapt at it, despite giving up Friday night football last fall. He's a different kind of kid - and I honestly thought that he was 50/50 whether he would like it or not and equally apprehensive whether he would listen to me as coach/teacher. On both accounts - he came out sterling. The parents are a great group and I've enjoyed playing with their kids. When my older son rejoined soccer for the first time this spring, I eagerly volunteered to coach his team (9 players) and so far it hasn't been as smooth. I'm taking the tact of working really transparently with the parents in terms of objectives, and we'll see how it comes out as the season progresses (7 games to go). I'm sure it's a lot harder in select teams where there's more money at stake! There's big expectations on what a coach can or can't do when the entry cost goes up. Balancing playing time is always a concern - and of course I'm sure we meet the league minimum 50% but there's opportunities for more, assuming they want to be back in the game (your kid or others!) If a kid directly asks me for more playing time, and when he's out there he shows the hustle that accompanies it - you find ways to keep him on the field more. Thanks for the comment - I agree start coaching when the kids are young and learn right along side of them. Chances are if you are just learning the sport and never played or coached before you should NOT be coaching. More than likely you are not able to coach properly because you have no hands on experience. Learning drills from a book or youtube is not the same as being taught it hands-on from somone who knows what they are doing. You could actually be doing more harm than good. Because will probably have to re-learn many things when they get to a higher level of competition. You forgot one other type of parent....the one that volunteers to be official team scorekeeper with gamechanger and only does so to overinflated and over score their own kid. For example....kid is a catcher and commits a lot of errors on throw down to 2B but since dad keeps official score he records the error on SS even when his catcher daughter overthrows SS at 2B. Then said parent "sells" their kid's overinflated stats to potential college coaches.